Please note, the books are listed in the order in which they were read during the past year. Thank you for joining me on my literary journey! This entry was posted in Uncategorized and tagged Andrew Miller, Carol Wallace, E.M. Forster, Kazuo Ishiguro, Lynda Rutledge, Peter Orner, Rasana Atreya, Susan Cain, Tan Twan Eng, Top Ten Books 2012, Yangzom Brauen. Bookmark the permalink. 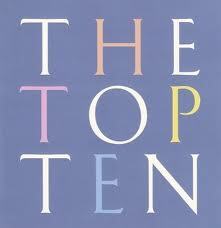 Its so difficult to select ONLY ten from the year’s books : I’m still dithering over my list. I’m tempted by the Ishiguro and the Susan Cain … maybe next year.